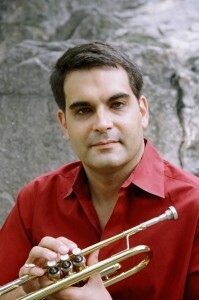 Jon Menges has arrived in New York, and it’s time to welcome this talented young trumpeter, composer, and arranger who delighted audiences in Chicago for many years. Mixing fresh and lively takes on popular composers such as George Gershwin and Cole Porter with those of jazz masters such as Miles Davis and Wayne Shorter, the Jon Menges Quartet wins the hearts of audiences who like their music served up with style. Presenting a large repertoire of classic jazz tunes and original works, the group can create smooth, romantic moods or get you on your feet with all styles of swing, Latin, and contemporary jazz. For a sample of Jon Menges’s music: click here! Please join us for an exciting evening when the Jon Menges Quartet performs at the Ink Well Cafe, 408 Rogers Ave, between Lefferts and Sterling.